I know the Facebook thing isn't a huge deal, and I'll survive and all, but it's REALLY FRUSTRATING when things don't work the way they're supposed to! GRAAAAAAAHHHH. That said, I'm beyond busy, and I really don't have time to write a proper blog post, so this'll have to be it. I've had next to NO knitting time, very little house-cleaning time, didn't do my squats or curls last night because I had yet another sick kid and wasn't feeling too hot myself (again). 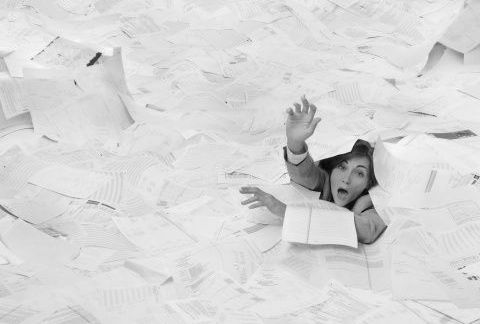 I'm going to dive back into the mountain of paper that is my office and hope that I don't drown before it's time to go home. Wish me luck! ETA: oh yeah duh... if I can't post to Facebook, it means I can't post the blog entry to Facebook either. UGH.